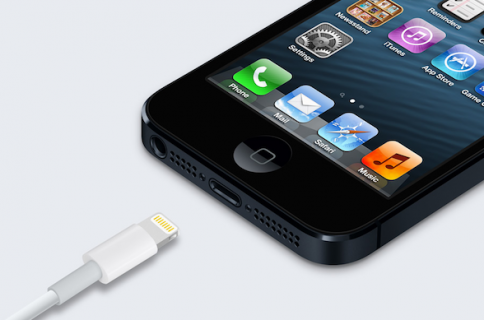 Much has been written about Apple’s new Lightning connector, introduced with the iPhone 5 to supercede the aging 30-pin Dock connection. 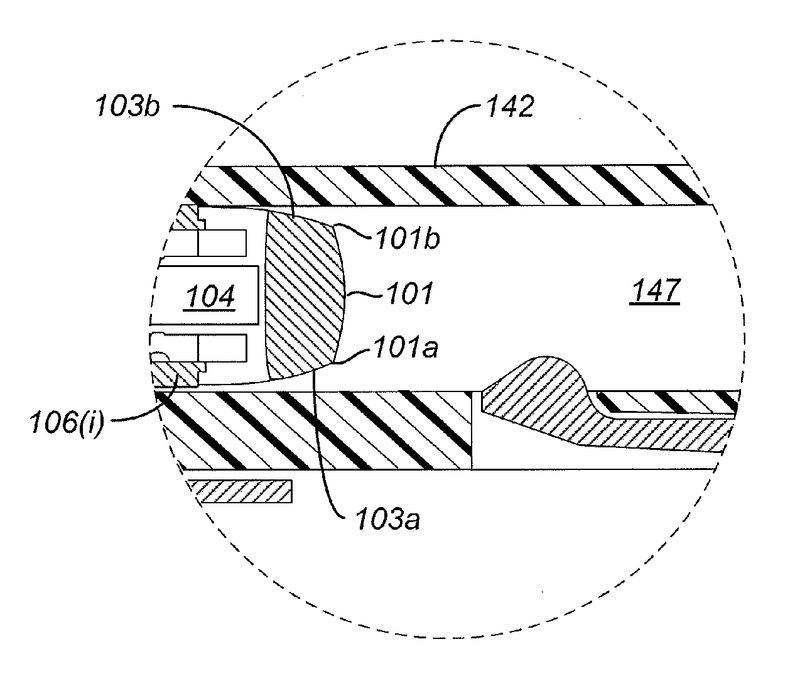 Thursday, the United States Patent and Trademark Office published three Apple patent filings from 2012 detailing how the Lightning connector is built. 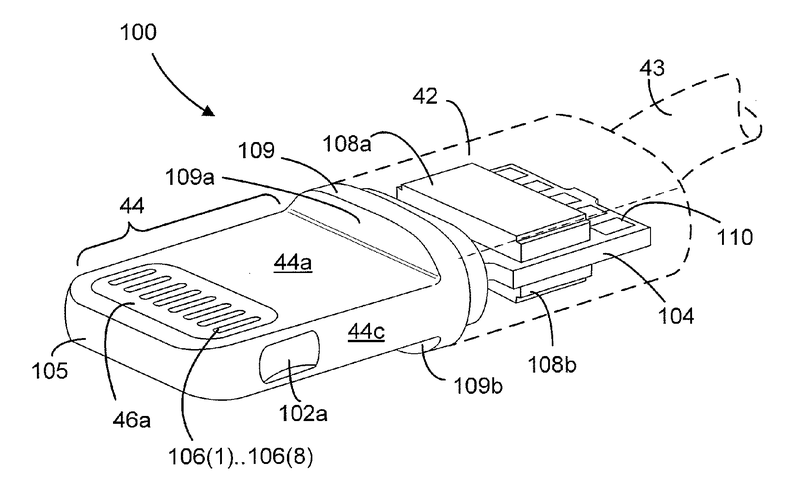 Among the questions addressed: how did Apple create an “orientation agnostic” connector design while also ensuring stability and proper alignment? 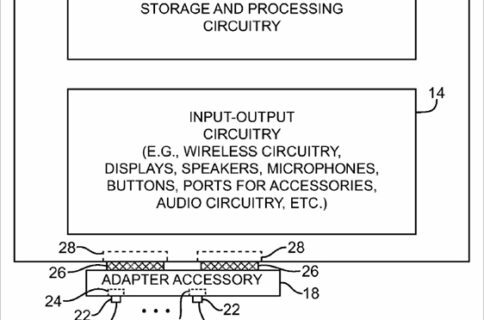 Apple’s unusually detailed patent filing, oulines in excruciating detail the Lightning connector hardware design as well as its programmability and possible uses. The filing says the agnostic design is accomplished via an ID module that detects the correct pin and contact. Because of the connector’s small size, a method to correctly attach and remove devices from the Lightning connector is accomplished by taking a page from how older 30-pin Apple connectors work – the sheath surrounding the Lightning connector is used, coupled with “arms” used to keep the connector in place. Much of the patent filings are used to describe the technical gymnastics required to accomplish the Lightning’s agnostic positioning. 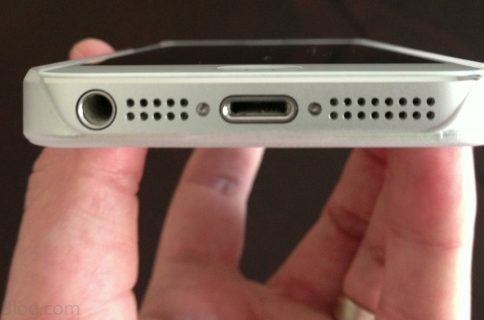 The growing popularity of mobile devices also caused Apple to create a new connector that could accommodate the tight quarters of handsets and tablets. Until today, most details of the Lightning’s makeup has come from tear-downs, which revealed an authentication chip designed to prevent third-party knockoffs. The detailed patent filings indicate the sheer complexity of the Lightning design could thwart many imitators. Aside from its internal composition, a growing backlash has also been revealed against the Lighting connector by accessory makers, who increasingly prefer industry-standard Bluetooth wireless communication protocols. As we’ve discussed, creators of docks, alarm clocks and numerous other accessories designed to interface with Apple devices are upset the iPhone maker has adopted the wholly new and proprietary connection protocol. As a result, a trend toward wireless connections powered by the inexpensive Bluetooth industry standard may drain the Lightning’s power.